Knipschildt's award winning dark chocolate classic truffles were named the 2nd best dark chocolate truffle in the world by Gourmet Magazine. These heavenly truffles are rolled in cocoa powder and bursting with rich creamy dark chocolate centers featuring Valrhona 71% Grand Cru. 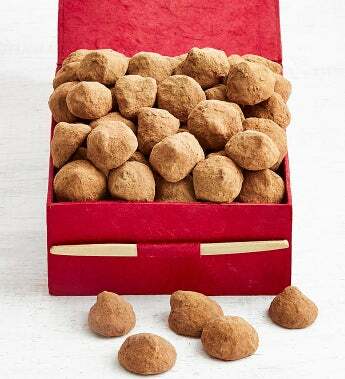 These truffles are amazing and addictive!